-- This exhaustively researched book will arm you with hundreds of innovative ideas and resources to save you money now. Baby items can be quite costly. Knowing exactly what you need to buy and keeping a budget is critical. You will learn many ways that you can get everything you need for the baby safely and on a limited budget. You will learn how to develop a budget, and you will be given a detailed list of all your new baby's needs. The author guides you through all the ways you can purchase what you need while staying on budget. You will learn detailed information on where and how to purchase clothing and linens, receiving blankets, consumables, baby furniture, cribs, toys and books, bassinets, car seats, strollers, and playpens for less money. 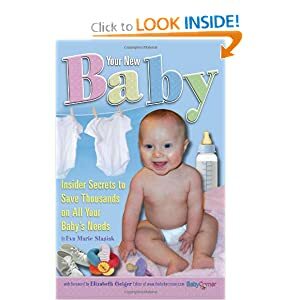 -- The complete guide to getting you the best in every kind of product babies need—for little or no money! The ultimate money-saving guide for moms and dads is now bigger and better, with more bargains for baby! This new updated edition of our most popular parents’ shopping guide has more of everything: more pages, more listings, more deals, more samples, and more fabulous freebies than ever before. 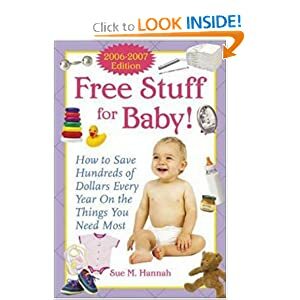 Includes hundreds of ways to receive FREE food, formula, bottles, diapers, videos, toys, and much more. -- These are tough economic times, and having a baby seems like an unaffordable luxury to many people. But it doesn't have to be. 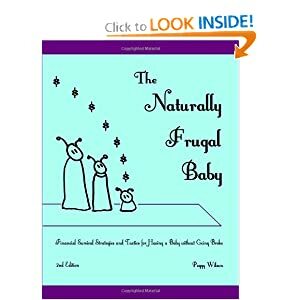 This book provides a crash course in super frugal baby care, starting before conception and continuing through the baby's first year. I wrote this book to be the reference that I wish I'd had before I started having children. 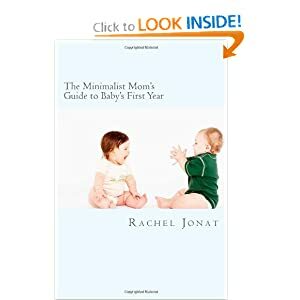 It starts with basic financial planning for aspiring parents and straightforward how-to instructions for frugal baby care, and keeps right on going into black-belt frugality topics and some of the more controversial issues of modern parenting. -- Are you a new parent or expecting a baby? Tired, stressed out and looking at a list of stuff for your new baby that's a mile long? Wondering how you're going to afford it all and fit it in your home? Tear up that list. I'm going to show you how to live simply and enjoy those first months with your baby. Without all the clutter! This is the book I wish I had read while I was pregnant. I wrote this book because I want other parents to find some peace when they have young children. I want others to see that a dose of minimalism and a bit of simple living can go a long way in smoothing out the transition of having a new young baby in the home (be it a 2nd, 3rd or 4th baby!). • Prince or Princess? -- Can you really choose your baby's gender? What you need to know before you conceive. • Instant Natural Colic Relief -- Parents are desperate to stop their baby crying. Simple, gentle and safe moves for instant colic relief. • Instant Baby Sleep Sound Track -- How to put your baby to sleep in 20 seconds! The miracle mothers have been praying for. Frugal Baby Tips can be found on Facebook and Pinterest! • Frugal Freebies: The latest free stuff, free books, shopping deals, discount coupons, and other ways to save money! • Jamberry Nails - High-end nail art without the fuss of polish, or expensive salon visits!